Hello all! 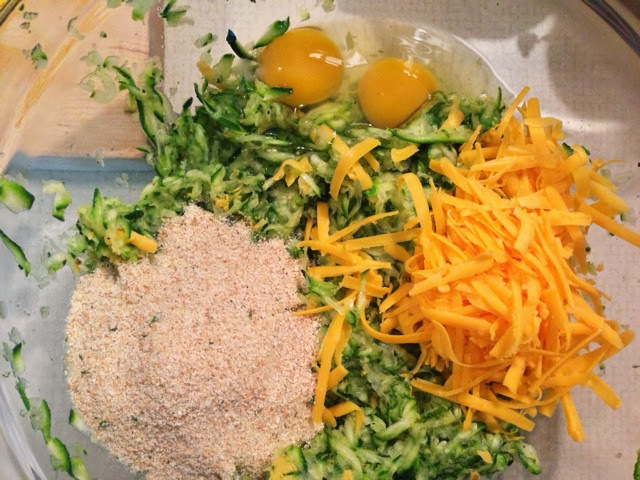 I wanted to share with you this Tasty Thursday recipe post. 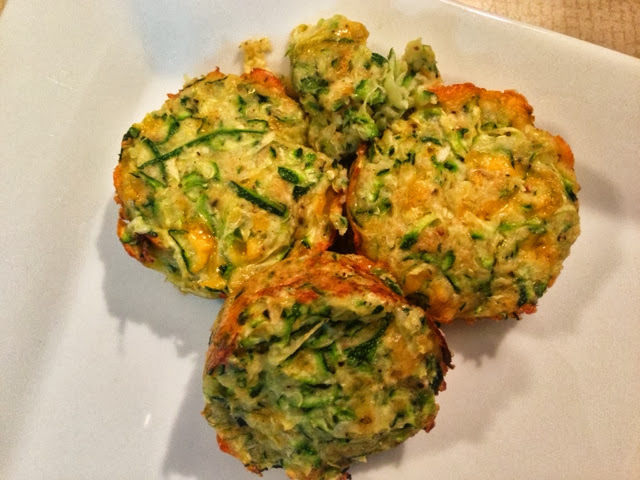 I am always in search of new side dishes that will get my sweet Hubby to eat more vegetables. I recently stumbled across this recipe from Skinny Taste and decided to give it a go. I did not have a mini muffin tin, so I doubled the recipe and used a regular sized tin (if you do have a mini muffin tin, then you can cut my recipe in half). I have to say, they turned out pretty delicious. Crispy on top but almost like a potato pancake in the center, without the fat of frying! The egg and cheese in them make them even great for breakfast. 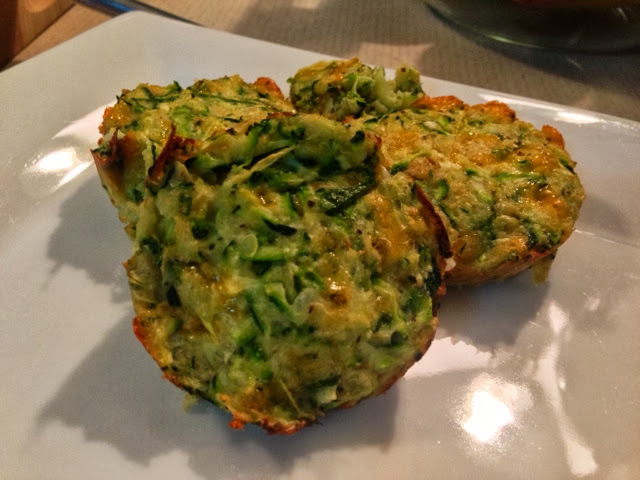 I hope you enjoy these yummy zucchini cakes! Preheat oven to 400°. Spray a muffin tin with cooking spray. 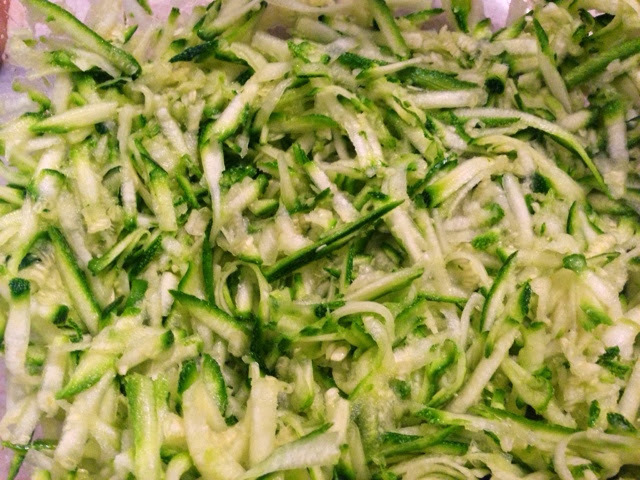 Grate the zucchini into a strainer and wring out all excess water with a clean dish towel. This step is very important to achieve the desired crispiness on the outside. Wring all of the excess water out of the zucchini. In a medium bowl, combine all of the ingredients and season with salt and pepper to taste. 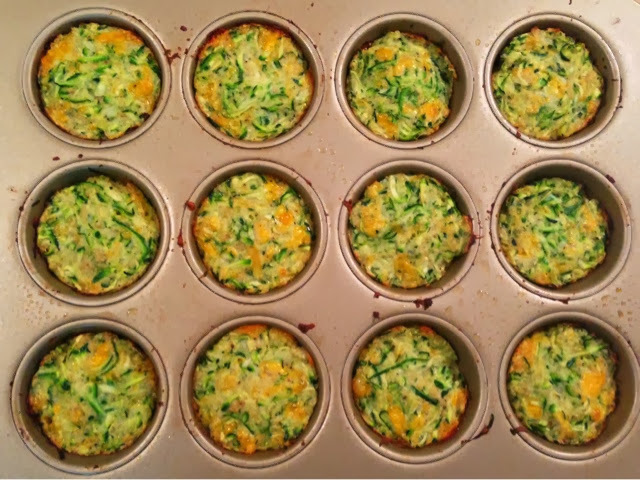 Evenly distribute to the muffin tin pressing down to pack ingredients firmly. Bake for 16-18 minutes, or until the tops are golden. Use a knife or small rubber spatula around the edges of each cake to remove them from the muffin tin. Eat and enjoy! !